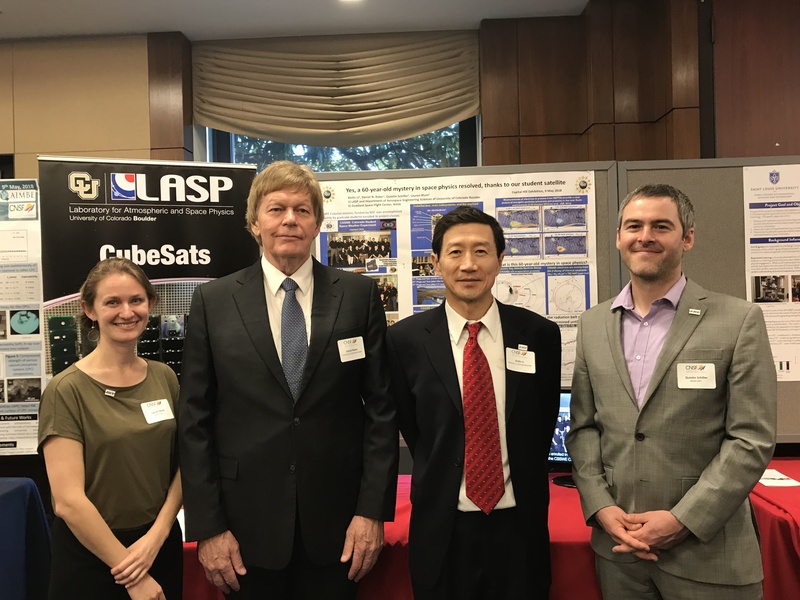 The most recent science results based on our CubeSat (CSSWE) measurements, which were published in Nature [Li et al., 2017], along with the CubeSat mission endeavor were presented at Capitol Hill on 9 May 2018. 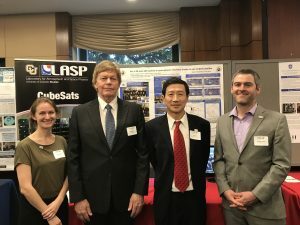 This science exhibition was sponsored by the Coalition of National Science Funding and visited by Congressmen, Congressional staff members, NSF leadership, and members of the science policy community. Way to go team CSSWE! Solving science mysteries since 2009.